3What is Authentic Spiritual Healing? Spiritual healing is the practice (and experience) of restoring, harmonizing and balancing our Spirit or Soul. There are many different approaches to spiritual healing. For example, some new age healing practitioners focus only on bringing balance to the etheric or non-physical energy field of the human body. Shamanic healers focus on restoring the soul and curing soul loss. And other holistic healers focus on unifying the body, heart, mind, and soul. Even psychologists and therapists are starting to incorporate spiritual healing into their work such as those operating in the depth and transpersonal fields of psychology. I see this literally everywhere. It’s a sad thing to behold. It’s prevalent in people who believe they must pay big bucks to “manifest their desires,” keep their vibration high, and basically accumulate more and be more (as if who they are and what they have isn’t already enough). When does this getting and being more actually end? It’s an eternal cycle that leads to suffering (which I wrote about in my thought-provoking self-improvement article). Then, of course, you have the more sinister breed of spiritual teachers who appear divine and enlightened on the surface but are raging megalomaniacs underneath. A true spiritual teacher will always give your power back to you, but a false spiritual teacher will not only parade around wearing your codependency like a crown but will also actively encourage it. Just think of it this way: if you had a blistering sore oozing blood and puss … would you really achieve much by covering your eyes and pretending to ignore it? No. The pain and infection would still be there. Would you really heal by pretending the sore wasn’t yours or by making it someone else’s responsibility to look after? No. You’d still carry that sore with you everywhere. It wouldn’t go away any time soon. The only way to heal that blistering sore is to face it, accept it, and find ways of alleviating your suffering – not as a way of trying to escape your reality – but as a form of self-love. This, to me, is true spiritual healing. 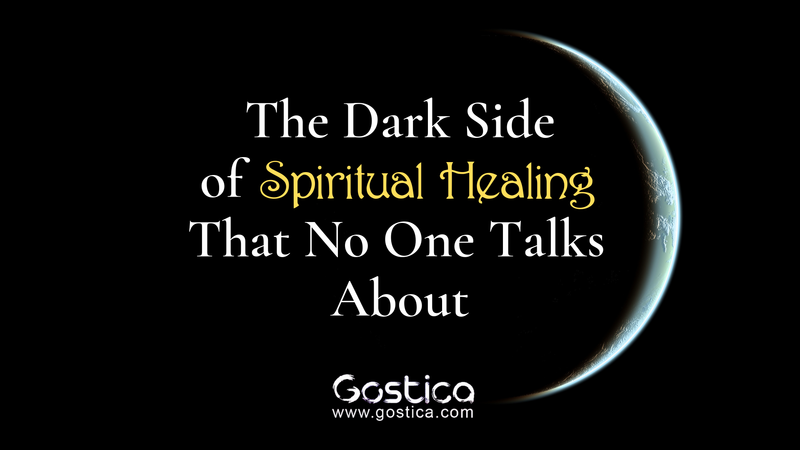 I’ve been guilty of using spiritual healing as a way to try and escape my suffering before. As a person who has wrestled with anxiety for years, I have often fallen into the trap of trying to spiritually bypass my suffering through fluffy feel-good thinking or methods that promise to instantly “get rid” of anxiety. It doesn’t work. Trying to put a band-aid on a festering sore will only make it worse. Resisting your reality, even in a “spiritual” way, will only serve to deepen your suffering. The only way out is through. You need to go to the core and roots of your issues in order to heal them.